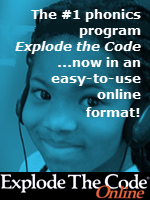 "An exciting new program, [Reading Assistant], ... exploits the newest speech recognition technology to improve fluency..."
"I urge parents of dyslexic children to make fluency training -- repeated oral reading -- their number one priority... It requires little time and minimal expertise, and it invariably works." Sally Shawitz, "Overcoming Dyslexia," Excerpt (1105K PDF). 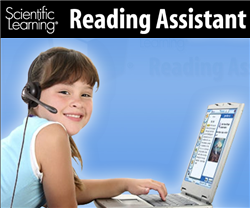 The Homeschool Buyers Co-op is pleased to offer GroupBuy savings of 84% on a yearly or month to month subscription to Reading Assistant Plus from Scientific Learning. Reading Assistant Plus pairs advanced speech recognition technology with scientifically-based reading interventions to help students strengthen their reading fluency, vocabulary, and comprehension. If your child is a struggling reader, then she is probably also a reluctant reader, and self-conscious and frustrated to boot. Reading Assistant Plus could be just the help you need to turn your reluctant reader into a happy, willing reader. Members tell us again and again that their children just LOVE Reading Assistant. One of the reasons they give is that Reading Assistant Plus puts their children in charge of their own reading experience. Children progress at their own pace, repeat lessons as needed, and record their own reading so that they can play it back and learn from their mistakes. Children work independently for as long as desired and get invaluable reading practice. How It Works: Equipped with headphones, your child reads the text on the computer screen into a microphone. Reading Assistant Plus "listens" patiently, provides immediate feedback on errors, and assists with interactive resources. Reading Assistant Plus is your child's very own reading tutor -- a tutor that never gets tired or impatient! Reading Assistant Plus also automaticaly scores your child's oral readings and maintains careful performance records so that you can quickly and easily assess his or her progress. WHAT YOU NEED: Reading Assistant Plus is entirely web-based. All you need is a good Internet connection, an approved headset, and a computer that meets Reading Assistant's Technical Requirements. HEADSET REQUIRED: Scientific Learning requires that you use any of the high-quality, noise-cancelling headsets on their list of authorized headsets. Watch the Reading Assistant Plus Overview Video on the Reading Assistant Plus product page. Browse the Reading Assistant Plus section on the Scientific Learning website for complete information. Read Sally Shaywitz's comments about Reading Assistant (formerly called ReadIt). Check Reading Assistant's technical requirements to make sure the Reading Assistant Plus will run on your computer. Note: This offer is open to U.S. and Canadian Members only! Fulfillment: Please allow 3 business days AFTER you place your order for us to set up your subscription under our school license. We will notify you via email when your subscription is ready. If you don't receive the email, just sign in to your Co-op account and look under "My Subscriptions" for a link and instructions. Returns/Cancellations: We will honor refund requests made within 30 days from the date that we give you access to Reading Assistant Plus. However, the initial service fee is nonrefundable, as it covers our labor costs in getting you set up in the MySciLearn system. Eligibility: This offer is available to members in the U.S., Canada, or the United Kingdom only. We regret that we are unable to offer it to members in Australia, New Zealand, or other countries. Service Fee: The Co-op will charge a one-time, nonrefundable service fee of $7.50 to help cover some of our cost of providing this service. 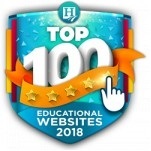 This subscription gives one teacher and one student access to the entire Reading Assistant Plus K-12 curriculum for one year. If you would like to order a subscription for another student, please place a separate order. Enter a "1", as shown in the Qty space above if you want a 1-year subscription. 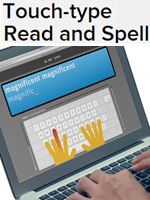 If you need Reading Assistant Plus for another student please place another order separately. HEADSET REQUIRED: Scientific Learning requires that you use any of the high-quality, noise-cancelling headsets on their recommended list of headsets. This subscription gives one teacher and one student access to the entire Reading Assistant Plus K-12 curriculum for one month at a time. 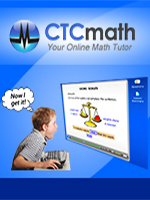 If you would like to order a month-to-month subscription for another student, please place a separate order. Enter a "1", as shown in the Qty space above. If you need Reading Assistant Plus for another student, please place another order separately. In the spaces below, please provide the required teacher and student information. We need this information to get you and your student set up in the Reading Assistant Plus program. Month to Month Subscription: In order to make Reading Assistant Plus affordable for more families, the Co-op is pleased to offer a month to month subscription. We will charge you for the first month on the date you place your order. However, as we will need a few days to get you set up, we won't charge you for the second month until one month plus 4 days has passed. That will be your "Monthly Anniversary Date" unless it falls on the 29th, 30th, or 31st of the month, in which case the 1st of the following month will be your Monthly Anniversary Date. Thereafter, we will charge your card on your Monthly Anniversary Date until you cancel. Every monthly charge is non-refundable. If you want to cancel, you must notify us AT LEAST 5 BUSINESS DAYS before your Monthly Anniversary Date.